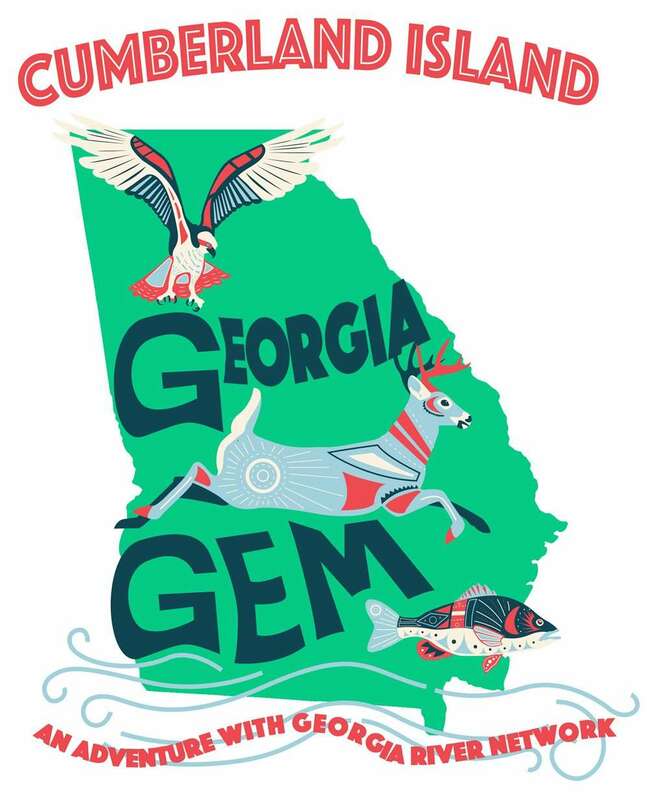 Come paddle with the Georgia River Network and Oconee River Land Trust on May 11th! This kayaking trip on the Apalachee River starts with a 3-hour flatwater paddle from Rivers’ End at Trimble Bridge to Hard Labor creek, and ends with a relaxed afternoon of hors d’ouevres from Donderos Kitchen, local craft Southern Brewing Co. beer, and live music. Afterwards, participants will be led on a leisurely nature walk through one of Oconee River Land Trust’s easements to vehicle parking. Laura Hall, ORLT’s land steward, will be discussing the unique flora and fauna surrounding the Apalachee River along the way, and the work to conserve it. 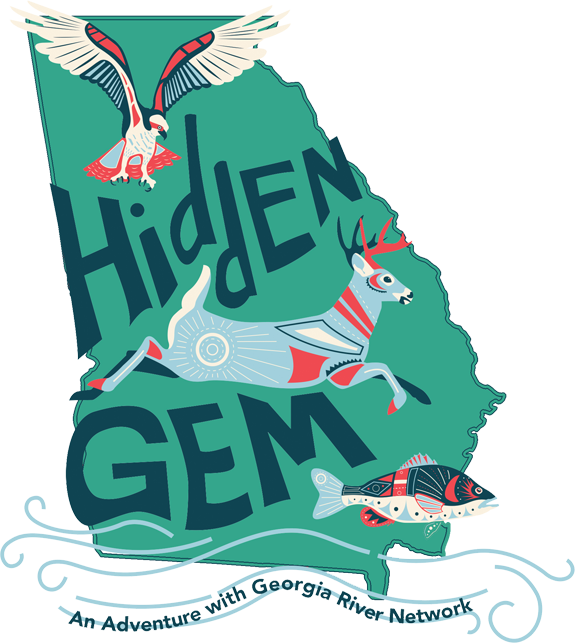 GRN’s Gwyneth Moody will touch on Georgia’s growing network of Water Trails and ways to get involved in river restoration and protection. The Apalachee River is an off-the-beaten-path paddling gem that runs from near Dacula, GA to near Madison, GA. Both beginners and experts are welcome! Join Georgia River Network on the St. Mary’s Water Trail for this special Georgia Gem Event. Participants will enjoy delicious meals, live entertainment and tent camping near the beach under gorgeous live oak and palmetto forest. There will be fascinating presentations about wildlife, local lore, coastal restoration efforts and an opportunity to enjoy and explore Cumberland Island by foot/bicycle. Those who would like to take the ferry across to enjoy the weekend event. Participants will enjoy paddling/taking the ferry through the Golden Isles of Coastal Georgia from the historic town of St Marys through marsh, open/blue water, and along the south end of Cumberland island to our destination at Dungeness. We will camp at ‘Sea Camp‘ Friday and Saturday night. The campsites are primitive without electricity or plumbing however it is only a short walk to the bathhouse which has cold showers. We will travel over to the island Friday afternoon, set up camp, relax and enjoy a delicious catered dinner. We will spend Saturday on Cumberland exploring by kayak/ foot/ bicycle and enjoy educational presentations/programs followed by dinner and live evening entertainment. We will pack up Sunday morning and return to the mainland after enjoying our last hot breakfast on the island! On Saturday, our paddling guides will lead those interested with kayaks on a 4 hour paddling adventure (including lunch and a walk-about) through the wildlife rich marshes of Cumberland. We will depart Dungeness Dock southbound for Beach Creek entrance, then up Beach Creek to “The Grange” and rear of Dungeness Ruins. We can get out and walk around a bit at this point to explore the Greene-Miller Cemetery nearby. Beach Creek is a twisty tidal creek, fairly deep in the channel, with mud flats during low tides, and plenty of Spartina and other marsh grasses. Lots of birds, some otters and other wildlife abound. We will arrive back to camp by early afternoon. Dr. Barry O’Neill, a long time Cumberland Island enthusiast, will provide a 3 mile night hike to Dungeness dock and mansion Friday night. Wanna know how to sniff out wolf spiders, enjoy the bioluminescence of dinoflagellates in the intracoastal waters, identify the major winter constellations, learn how the zodiac constellations were selected by the ancients, understand the navigational importance of the North Star, and even find out if you are a truly altruistic soul? Then join us! 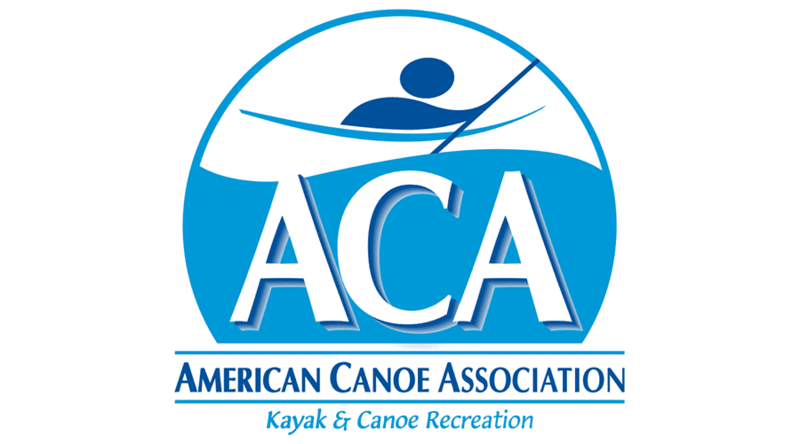 Paddling spots will be limited to physically fit participants with intermediate open/blue water kayaking experience. However, tickets are also available for those who would like to join us on Cumberland for the weekend event but not paddle. While paddlers will be led by experienced local guides, none will be prepared to pull paddlers who tire from lack of fitness. Paddlers must have an intermediate level of physical fitness. Tickets are available to accommodate experienced sea kayakers desiring to join the group paddling from the mainland to Cumberland Island, as well as for those who would like to take the ferry across and enjoy the weekend event. While paddlers will be led by experienced local guides, none will be prepared to pull paddlers who tire from lack of fitness. Paddlers must have an intermediate level of physical fitness. We will not allow anyone to paddle a recreational kayak! 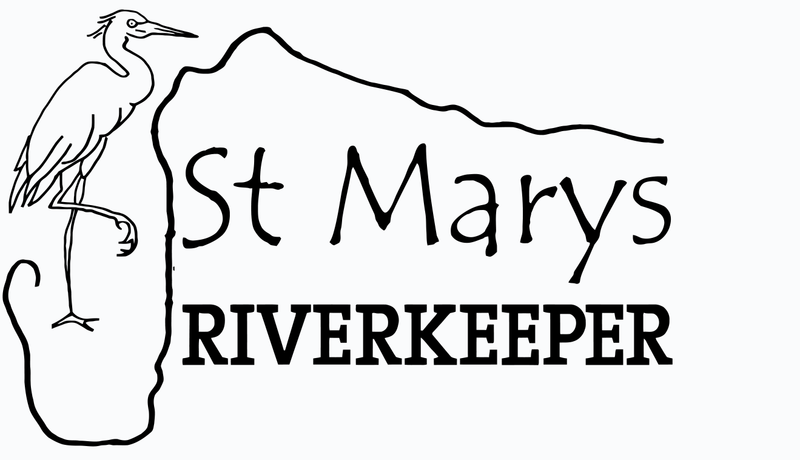 Registration Fees include T-shirt, Map, NPS Day Use Fee, Camping Fee, ACA Insurance, Ferry, and Dinners, Lunches, and Hot Breakfasts. Island Paddler Hidden Gem Ticket: Participants must be physically fit with intermedite sea kayaking experience and able to paddle from the mainland to Cumberland Island (7 miles) on Friday and make the return journey on Sunday. Island Ferry Hidden Gem Ticket: This ticket is for those who would like to participate in the weekend event by taking the ferry to/from the mainland to Cumberland.